Pav bhaji is most popular fast food of Mumbai. 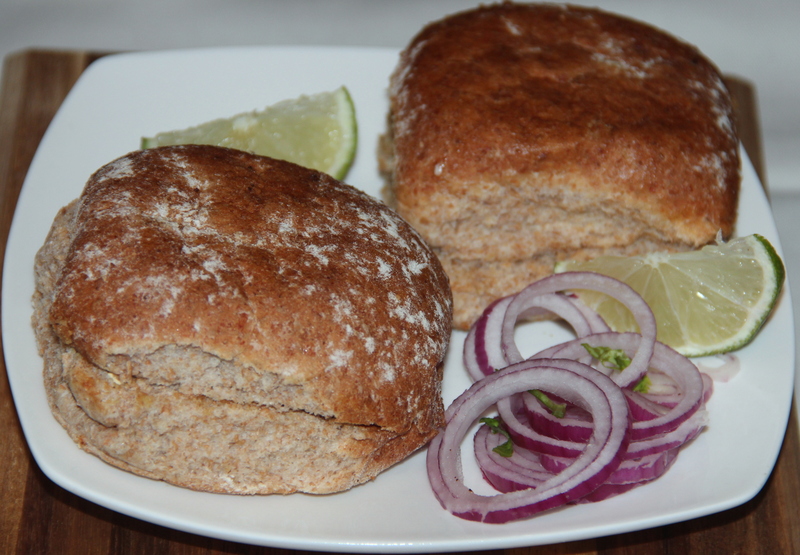 This dish is served on bread and garnished with coriander and chopped onions. If you love to eat Pav bhaji, you can prepare the bhaji at home using only boiled vegetables and omitting the potatoes. Similarly you can also cut down the fat content by using olive oil or any other oil instead of the butter. Skip the additional butter that is used while serving the bhaji. 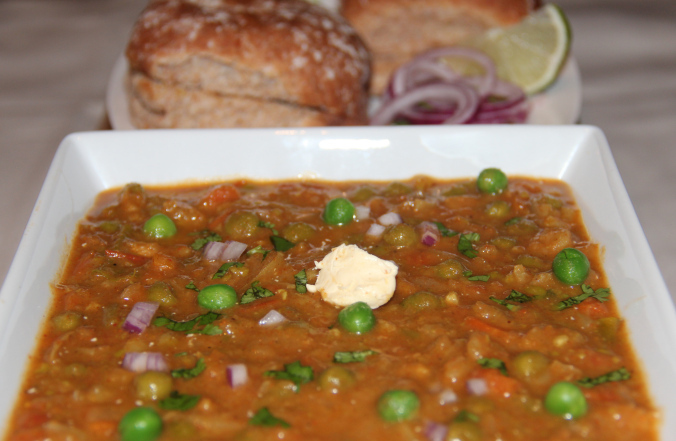 Your healthy pav bhaji is ready to eat. You can use brown bread instead of the pav to make it nutritious. Believe me your family would enjoy the pav bahji and you will be happy that you had a healthy version. • Heat oil in the deep non-stick pan; Add onions, green chilli, ginger, garlic and saute on a medium flame for 1-2 minutes. • Then add capsicum, tomatoes, beans and cook on a medium high flame for 4-5 minutes. • Now add dry ingredients turmeric, chilli powder, pav bhaji masala, salt mix and saute until the raw smell goes off. • Add upto 1 cup of water and continue until desired consistency is obtained stirring in between. • As the veggies are well cooked mash it thoroughly using potato masher and turn off the flame. • Serve hot bhaji top with chopped onion, coriander and lemon wedges. Posted on May 13, 2014, in Indian, Starters and tagged drchdietfood, Healthy Indian chats, Healthy Pav Bhaji, Indian snack, indianrecipes, Pav Bhaji without Potato. Bookmark the permalink. 17 Comments. I love how you always introduce me to new foods! Healthy and delicious gravy without potatoes, Chitra…. Yummy 🙂 Had tons of this.